One of the major disadvantages when it comes to central air conditioning is the ductwork. According to the U.S. EPA, the average duct system loses around 20% to 30% of its air to holes and leaks in the ductwork. If your ducts are located in the basement, attic, or other unconditioned areas of the home, you could be losing a lot of cool air, and money with it. Ductwork is one of the leading causes of air conditioning inefficiencies. Are your ducts in bad shape? Learn how to inspect your ducts for damage and other problems. If you do think your ducts need some attention, learn about PureFlow™ Duct Systems and how they can fully seal and insulate the entire system. Turn on your HVAC system so the air is flowing through the ductwork. Start with any section of your ducts. Keep in mind that your air ducts may be in the attic and/or basement as well. If you are inspecting ductwork in the attic, only step on the joists or lay pieces of wood across the joists so you can move safely. If necessary move insulation away from the ducts. With a smoke stick, incense, or thin piece of toilet paper, hold it up to duct connections/joints to see if the smoke or paper begins to move erratically. You can feel large duct leaks with your hand. Mark the leaking areas with a grease pencil. Open a door or a window just 1-2 inches, and switch on the furnace/air conditioner blower. If you notice a significant amount of air coming in from outside, it is a good indicator or indoor air pressure loss. This occurs when ducts are leaking outside the conditioned space. While you can try to seal duct leaks yourself with mastic sealant or aluminum foil tape (not duct tape), it’s best to call a professional. Learn more about DIY vs Professional Duct Sealing. As electricity and energy get more expensive and harmful for the planet, more people are opting for energy efficient systems. Recently, Service Champions has seen a big pull for products that require less energy and give off fewer emissions. There’s no doubt about it, efficient comfort systems simultaneously save the planet and your money. Not to mention the increase in indoor comfort. The efficiency of your air duct system is more dependent on the ducts themselves rather than any thermostat tricks you might practice. Since the duct system runs throughout your residence or place of business, there is a greater potential for leaks and breakage. 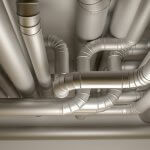 A leak in the duct system also increases potential health hazards, since pipes run along bacteria-rich places. Service Champions provides industry-leading Air Duct Cleaning, Air Duct Sealing, and Air Duct Insulating to keep your home clean and energy efficient. Over time, air ducts can become extremely dirty, causing or exacerbating health problems for household. 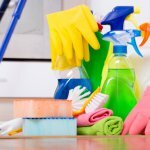 This is especially concerning if there is mold or pest remains inside, which will get released into your home every time the HVAC system is running. Our technicians are trained and equipped to seal and insulate air ducts to prevent contaminants from entering your home, especially from under your house and from your attic. We use an advanced process where we seal joints with cement mastic that ensures your air dicts remain clean and sealed, helping to keep contaminants out and conditioned air in. By sealing and insulating your air ducts, you can save 20% or more on your heating and cooling costs. 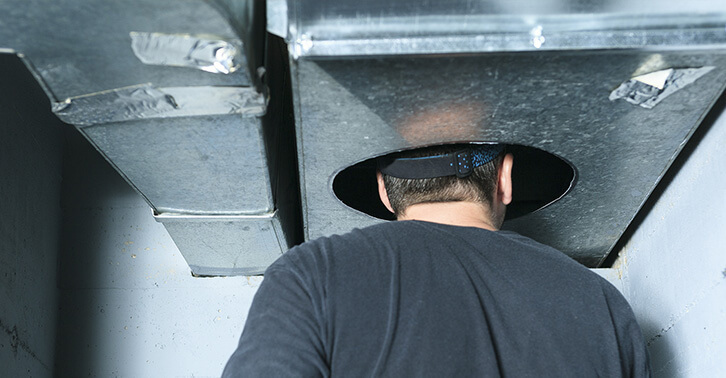 When installing your PureFlow™ Duct System, Service Champions technicians follow strict protocols to prevent leakage and ensure the structural integrity of the system. Flexible ducts are strapped up every 4 feet to prevent sagging. 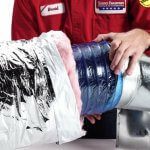 Ductwork is insulated with R-6 or better insulation. No sheet metal should be exposed. 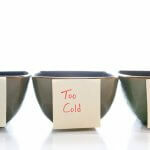 Modern insulation has anti-bacterial properties. Joints and seams should be secured with screws or mechanical connections. They are also sealed with mastic or butyl tape. Joints are not help together with duct tape. Despite its name, it is not approved material. Ducts are not insulated with asbestos (common in older systems). Gaps around filters and grills are sealed. The causes of leaky duct systems range from poor installation, to poor maintenance, to the age of the system itself. Keep in mind, duct seal has only been under code since 2005. If you have not had your duct system checked in the last five years, you should schedule an appointment as soon as possible. Let us know if your ducts need help.